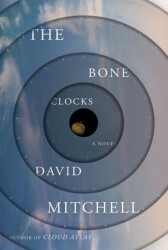 When I was recommended The Bone Clocks by David Mitchell, I wasn’t really expecting a whole lot. It’s been too long for me to remember the last time I read a work of fiction written after the turn of the millennium and what I had been hearing about books, at least popular ones for adults, wasn’t very encouraging. A trend towards literary-fiction, I was told. Authors writing fiction for the sake of the writing and not for the sake of telling a story. So with some reluctance and trepidation, I accepted a Facebook friend’s challenge of reading The Bone Clocks to see if it could indeed be one of the best things I’d read in a long time. 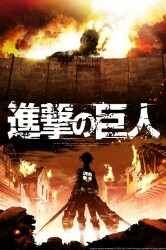 Few and far between are anime which I can consider to be perfect. In fact, from the beginning of my anime watching career back in 1998 until this writing there have only been a total of five shows which have garnered a solid “10 out of 10” from me. Granted, my finicky tastes and weird perfectionism may not hold water with anyone else, but I would like to say that anything that I find to be so exquisite can be held up as an example of what the medium can be- that it can stand on its own as a real artistic expression. That said, it’s been a while since I last found such a show and for once I’m going to write about it. 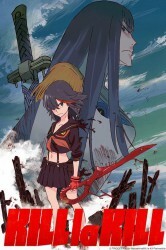 Meet Kill la Kill: the best magical girl show I’ve ever seen. For the first time, I believe, I am reviewing a prequel. A prequel to a show I didn’t even bother reviewing in the first place, no less. 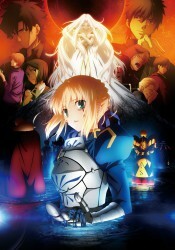 Fate/Zero is something of a weird concoction of the amazing, the mundane, and the downright awful and it all sort of melds together into something bland yet, despite yourself, you find you’d like some more. 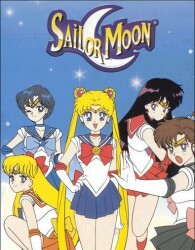 It’s basically the salt-water taffy of recent anime that I have watched.